North Korea has alarmed the whole world with its two nuclear tests. In response to North Korea’s illegal activities US, Japan and South Korea have dispatched high-tech missile defense ships to the same area where Pyongyang (largest city of the North Korea) fired four missiles just eight days ago. 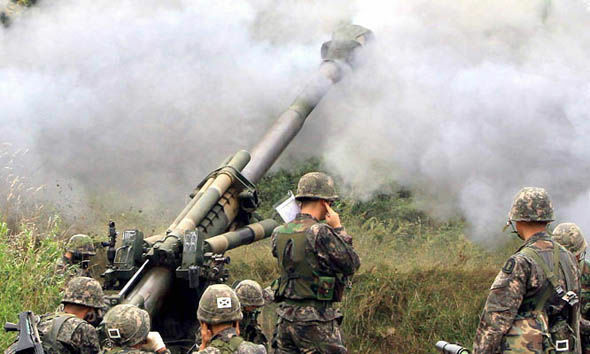 Earlier on Tuesday, North Korea has warned the US of merciless attack as they joined South Korea in military exercises. Nuclear weapons are the most important weapons in the North Korean arsenal. On January 6, North Korean’s regime released a statement that it had successfully tested a hydrogen bomb. Believe it or not, North Korea is the World’s most repressive and heavily armed nation.